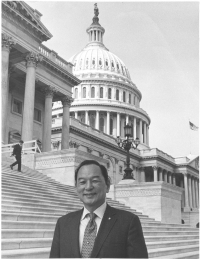 Forty-five years later, Spark Masayuki Matsunaga, son of a Japanese immigrant and dirt poor plantation worker on the remote island of Kauai, was sworn into the United States Senate. This was a high point in a lifetime of public service that began when Sparky enrolled in the University of Hawaii in 1937 and joined the Reserve Officers Training Corps (ROTC). He was commissioned in the Army in June 1941, served in the National Guard’s 299th Infantry Regiment, joined the 100th Infantry Battalion in 1942, and was wounded in action in Italy the following year. Politically, Sparky was engaged in the Democratic Revolution of 1954 when Japanese-American veterans won control of the state legislature and in the struggle for statehood, which came about in 1959. 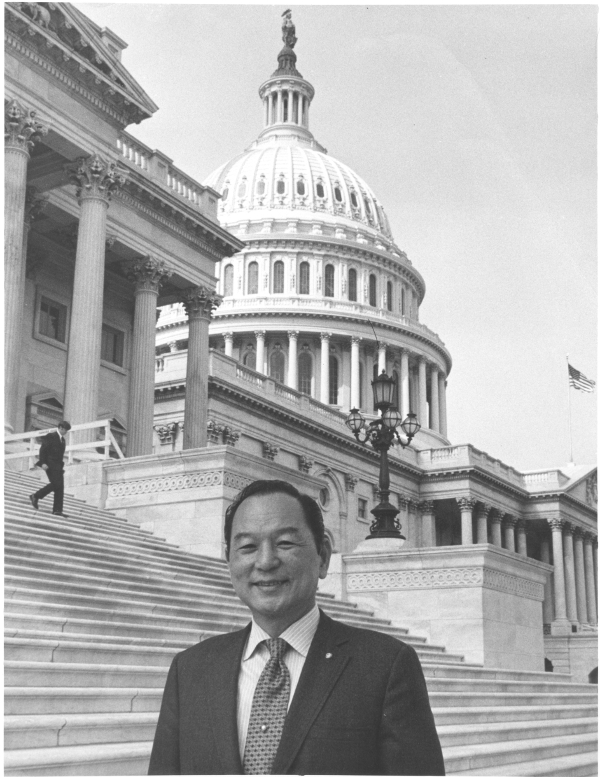 He was elected to the U.S. House of Representatives in 1962, served there for 14 years, and was then elected to the U.S. Senate in 1976, where he served for another 14 years. Even though he represented a small state and the newest in the Union, Sparky was successful, for two reasons: The founding fathers intended that the voice and vote of a senator from a small state would be equal to that of a senator from a big state. Just as important were Sparky’s personality and political skills. He was often effective just because people liked him. Sparky took that advice. 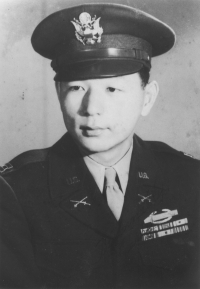 Thus Second Lieutenant Matsunaga was acting company commander on Molokai on Sunday, December 7, when the Japanese struck Pearl Harbor. As dark smoke billowed up 60 miles away, Sparky handed out rifles and posted the company’s 117 soldiers to guard beaches and the airfield. Over the next several months, the US government debated what to do with Japanese-Americans soldiers and finally, in May 1942, formed them into an infantry battalion to be organized and equipped as a combat unit. The battalion, designated the 100th Infantry Battalion on arrival in Oakland, California, was sent to Camp McCoy, Wisconsin, for training. In September 1943, the 100th landed in southern Italy to fight the German army. Sparky, now executive officer of D Company, was wounded in November by landmines on Hill 600 and evacuated to a field hospital. 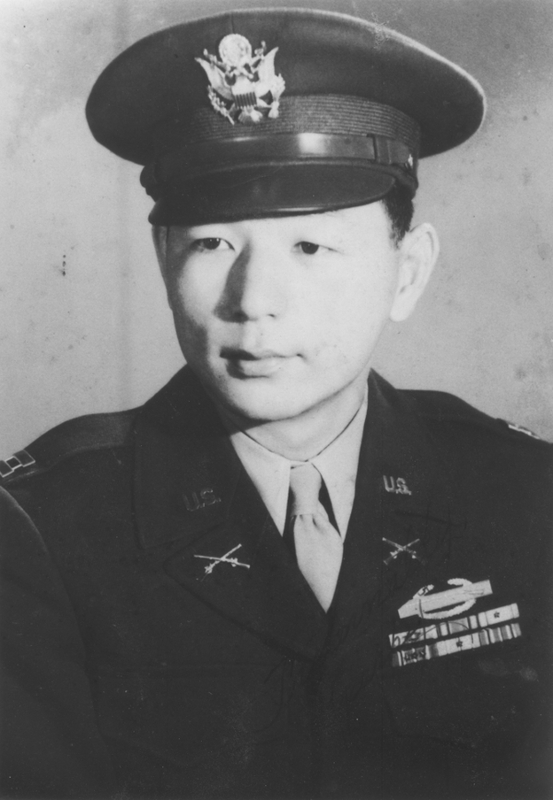 After he recovered and returned to the U.S., Sparky was assigned to Fort Snelling in Minnesota and, at the suggestion of officials in the War Relocation Authority (WRA), asked to give speeches about how Japanese-Americans had gone into battle and died for America. 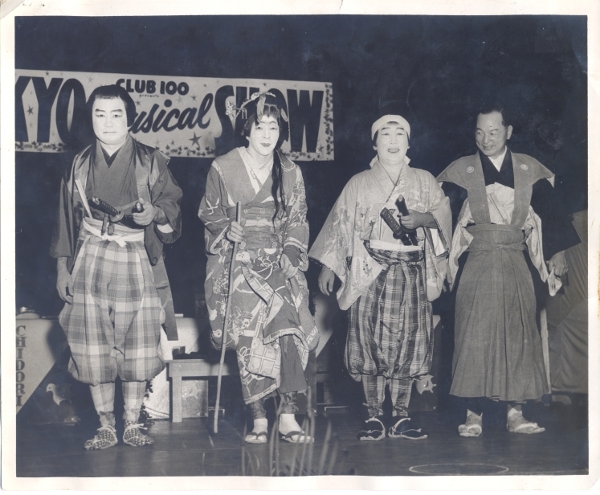 The WRA was responsible for resettling the Japanese-Americans who had been incarcerated during the war. In Milwaukee, for instance, Sparky told an audience the 100th Battalion fought “because they had to prove that they were worthy to be called American.” Altogether, he claimed later, he gave 800 speeches in eight months, which he appears to have thoroughly enjoyed and which prepared him for politics. It was the only election he ever lost. Sparky sat quietly toward the rear of the House of Representatives watching the flowery rituals as Congress opened in January 1963. His was the only Asian face in a sea of white faces, with a half-dozen African-Americans and Hispanic-Americans sprinkled through the House. Yet he had been well-received even by colleagues from the South where racial segregation was still practiced and was elected president of the incoming class of 36 Democrats and 31 Republicans. Next priority was legislation; Sparky thrived on the give and take on the floor where he established himself as an orator in a fraternity that loves words. In the bills he introduced he sought to open immigration but to restrict migrant workers, to cut taxes, to defend foreign aid, to promote veterans benefits. And everywhere, Sparky fought for civil rights and against discrimination. Sparky relished his work on the Rules Committee, the heart of the legislative process to which he had been appointed by Speaker John McCormack. Sparky was widely seen as the speaker’s faithful lieutenant. Amid the turbulence of the 1960s, Sparky was ambivalent about America’s involvement in Vietnam. Sparky seemed to think the war was not worth the sacrifice in blood and treasure but did not relish undercutting soldiers on the battlefield. Thus he glumly supported the war out of loyalty to President Lyndon Baines Johnson. In contrast, Sparky was enthusiastic about President Johnson’s legislative program called the Great Society that was intended to eliminate poverty. He supported a drive for greater civil rights, fighting racism and discrimination whenever it came up. When the Democratic-controlled Congress reconvened in January, 1969, the election of Republican Richard Nixon as president produced a divided government. Representative Carl Albert of Oklahoma became Speaker and made Sparky a deputy whip to help rally Democratic members to the leadership’s banner. That, along with his place on the Rules Committee and later on the Democratic Policy Steering Committee, cemented Sparky’s place in the House leadership. Sparky didn’t much care for Nixon ideologically or personally, although a colleague said “he tried not to let it show in public.” After Nixon resigned in 1974 to escape impeachment, Representative Gerald R. Ford, Republican of Michigan and Minority Leader of the House, whom Sparky liked and respected despite their political differences, succeeded to the presidency. Nixon’s presidency, however, freed Sparky from loyalty to President Johnson over Vietnam. He soon denounced Nixon, raised the cry of racism in U.S. policy, and was outspoken in seeking to end the draft. He backed voting rights for 18-year-olds, “because they have earned the right to vote by bearing the responsibilities of citizenship,” a reference to military service. Thus, Sparky won easily, his 162,300 votes being 32 percent more than the 122,700 for Quinn.